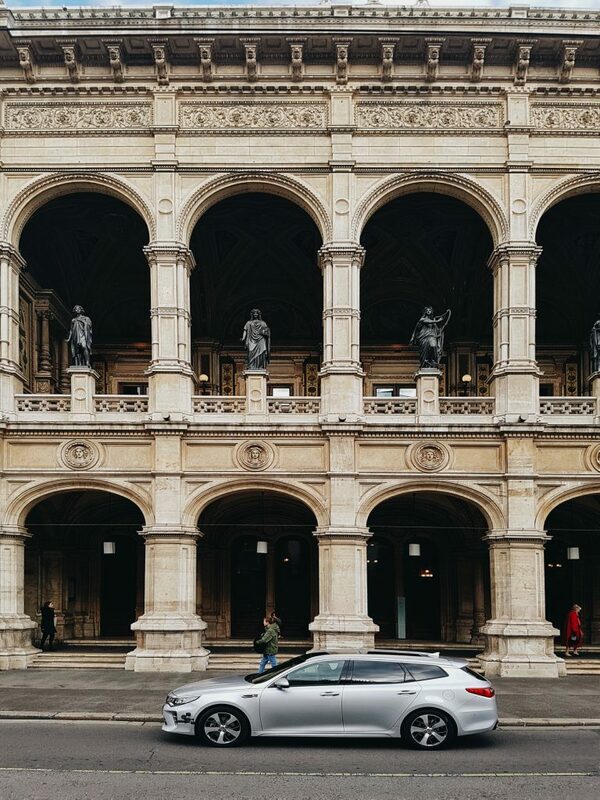 Vienna is one of the most photogenic cities in the world so it’s impossible not to be snap-happy all the time. Every place is worth getting your camera out for which makes it difficult to prioritize what to take a photo of. I have made your job easier by listing the most iconic photo opportunities in Vienna. 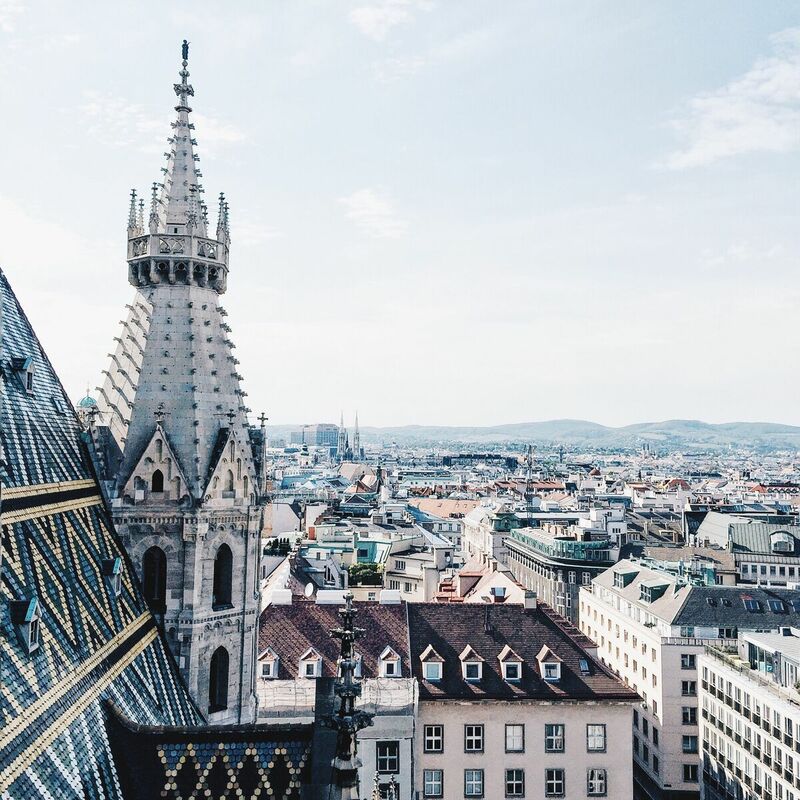 These are the best photo locations in Vienna that will make jaw drops and induce envy into all fellow Vienna lovers. These will be the shots that you’ll look back on in years to come and reminisce over. I also included a video in wonderful cooperation with Kia Austria. One of the nicest places to be in Vienna. If you go up the stairs you enjoy a wonderful view to the Opera and the Hotel Sacher. On the back the view to the Burggarten is glorious. One of the most famous Opera Houses in the World. Find out more in the Video at the bottom of this Blog Post. One of the loveliest place in Vienna is the Franziskanerplatz hosting the famous “Kleines Cafe”. Make sure you take some nice pictures here. Continue on Weihburggasse 21 and have a look at the little old Vienna Backyard. These gardens (“Burggarten”) were once the private gardens of Emperor Franz Joseph I., the husband of the Empress Sisi. The gardens of the Imperial Palace also contain the Palm House, one of the most beautiful art nouveau glass houses. This tropical oasis includes the Butterfly House where hundreds of exotic butterflies reside today, along with a very atmospheric coffee house and restaurant. Enjoy the walk on the elegant Wiener Graben (click to see my Blogpost) towards the St. Stephens Cathedral with a lot of luxury shopping possibilities. On the left side, you see the wonderful baroque St. Peter’s Church which was built by JL von Hildebrandt in 1703 inspired by the St. Peter’s Basilica at the Vatican in Rome. The inside of the church makes a stunning impression with its rich interior filled with golden stucco. This courtyard is a surprise in the midst of medieval streets. It contains a small chapel and monks’ apartments. Scattered throughout the park are statues of famous Viennese artists, writers, and composers, including Hans Canon, Emil Jakob Schindler, Johann Strauss II, Franz Schubert, and Anton Bruckner. The opulent Kursalon building on Johannesgasse, with its broad terrace that reaches into the park, is the site of popular waltz concerts. Griechengasse (Greek lane), named after the wave of immigrant merchants who settled in the quarter in the 18th century. 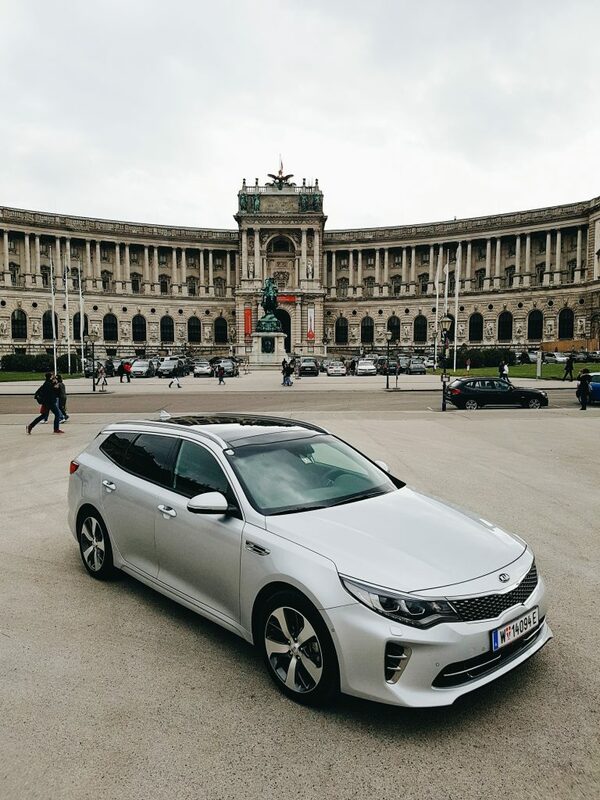 I had the honor to drive with the New Kia Optima Sportswagon through Vienna and I am happy to share with you three TOP Foto Locations. 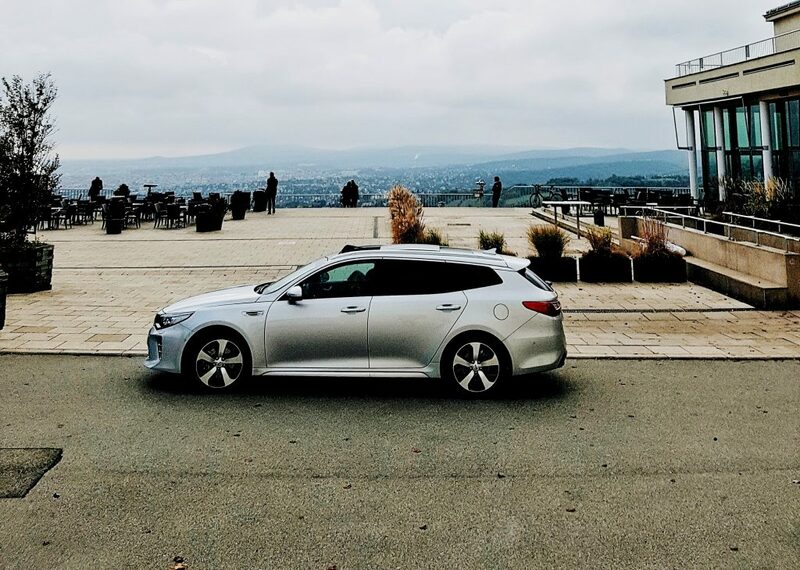 We had a great drive from the famous Imperial Heldenplatz to the Vienna State Opera and finally a fantastic view over Vienna at the Kahlenberg. Hope you like my suggestions. If you enjoy reading theviennablog please subscribe here LINK! Thanks a lot! I prefer the Leopoldsberg over the Kahlenberg, it´s not so busy there. My favorite place in Vienna is the old jewish part of the Zentralfriedhof (Tor1). Very interesting! By the way, are you originally from Greece? My mother’s surname is Sideris as well.